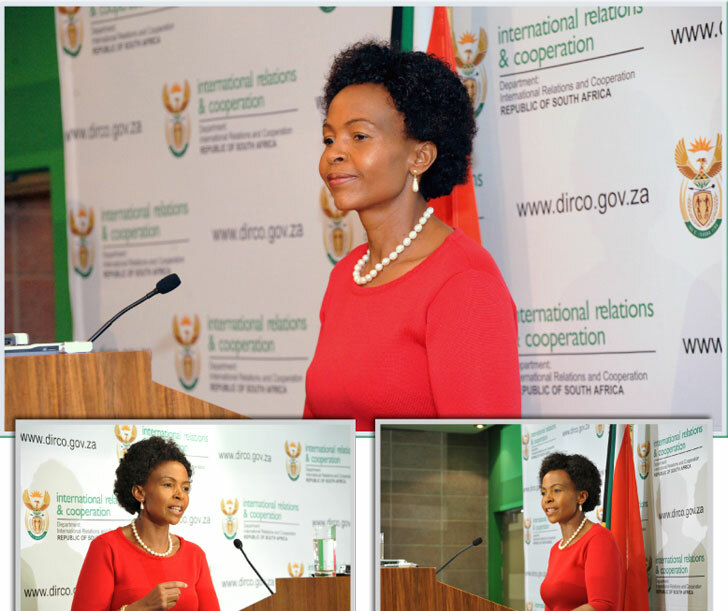 On 8 October, the Minister of International Relations and Cooperation, Maite Nkoana-Mashabane, addressed the media on international developments, including the outcomes of the 68th Session of the High-Level Segment of the United Nations General Assembly (UNGA68); reflections on South Africa’s six months of chairing Brazil, Russia, India, China and South Africa (BRICS); the recent State Visit by President Jacob Zuma to the Republic of Senegal; and the upcoming State Visit to South Africa by French President François Hollande. Reflecting on South Africa’s first six months as Chair of BRICS, Minister Nkoana-Mashabane said that the implementation of the eThekwini Declaration and eThekwini Action Plan, adopted at the BRICS Summit in March in Durban, had been met with great enthusiasm among the BRICS partners. 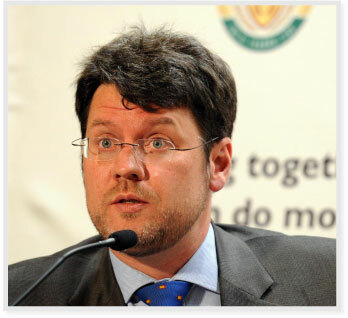 South Africa has proposed meetings for all existing sectorial cooperation mechanisms as contained in the Action Plan. • Sports and Mega Sporting Events. The Minister also referred to the meeting of BRICS leaders on the margins of the G20 Summit that took place in St Petersburg on 5 September 2013. “The BRICS leaders considered progress reports on the establishment of the new Development Bank and Contingent Reserve Arrangement and expressed their satisfaction with the good progress achieved. They announced that the subscribed capital of the bank would be US$50 billion from BRICS countries. 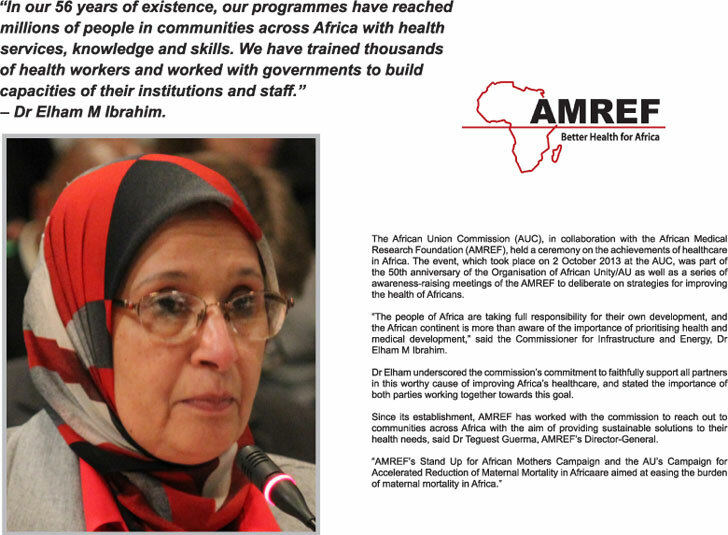 • that the shaping of the post-2015 development agenda should not be used to introduce new issues as prerequisites for development and partnerships. “Another major theme that permeated South Africa’s engagement during the high-level week at UNGA68 is the urgent need for the reform of the UN Security Council. “In this regard, South Africa challenges the UN membership to: 'celebrate the 70th Anniversary of the United Nations in 2015, with a reformed, more inclusive, democratic and representative UN Security Council'. Through this initiative, the Oliver and Adelaide Tambo Foundation hoped to bring together South Africans from all walks of life, build unity, enhance patriotism and remember the legacy of Oliver and Adelaide Tambo. In honour of the life of the late struggle icon Oliver Reginald Tambo and his wife Adelaide Frances Tambo, Minister Maite Nkoana-Mashabane attended the Third Annual Oliver and Adelaide Tambo Liberation Walk event on 5 October at the Benoni Cedar Football Club in Kempton Park. The event was hosted by the Oliver and Adelaide Tambo Foundation in partnership the City of Ekurhuleni, the Department of International Relations and Cooperation, SA FM, Waltons, Airport Company of South Africa and Central Gauteng Athletics. The event was held under the theme: “Ten Thousand Feet for the Right to Education”, and was aimed at encouraging all South Africans to actively participate in ensuring that every child has access to education. The foundation identified the Ludeke Primary School in Mbizana Municipality, Eastern Cape, as one of the beneficiaries of this year’s event. 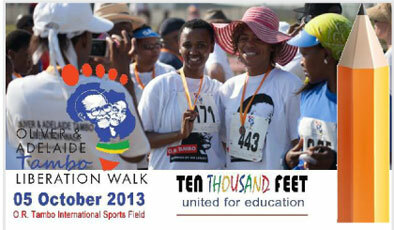 The proceeds of the walk will be apportioned to the school. Stationery and books, which were collected from various organisations, will also be donated to identified schools. 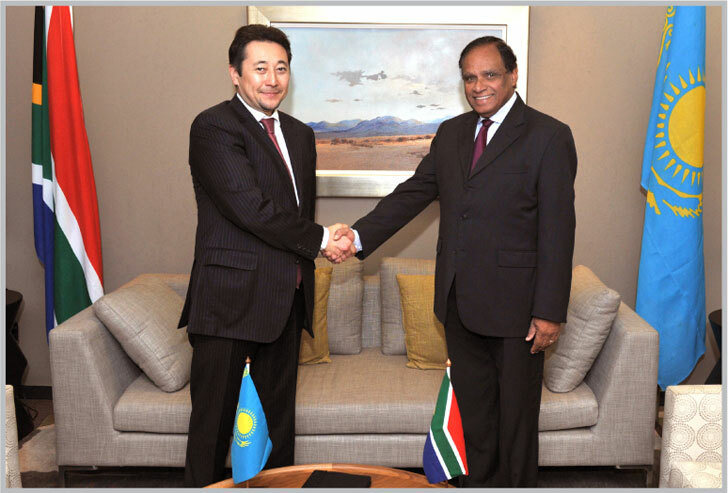 South Africa and Kazakhstan established diplomatic relations in 1992. A Protocol on Foreign Ministry Consultations was signed in July 1997. The objective of the Inter-Governmental Consultations (IGC) is for the two countries to regularly review the scope of their relations and identify new areas of cooperation. The First Session of the IGC was held in September 2010 in South Africa. The Deputy Minister of International Relations and Cooperation, Ebrahim Ebrahim, and his Kazakhstan counterpart, Kairat Sarybay, co-chaired the Third Round of the IGC on 10 October 2013 in Pretoria. The second round of the IGC was held in May 2012 in Astana, Kazakhstan. During this meeting, the parties discussed in detail the question of multilateral cooperation in international organisations and held discussions on international issues of mutual interest and concern. Prime on the agenda of the consultations were, among others, the review of progress made in respect of outstanding draft agreements to be signed during the planned State Visit by the President of Kazakhstan in December 2013. Total trade between South Africa and Kazakhstan has been fluctuating but has remained in South Africa’s favour since 2009. It increased from R44 million in 2009 to R137 million in 2010; it dropped to R88 million in 2011 and increased to R90 million in 2012. Exports increased from R42 million in 2009 to R101 million in 2010 compared to imports of R2 million in 2009 and R36 million in 2010. The two countries undertook to strengthen cooperation in areas, including legal frameworks for local governance, urban and strategic development planning, restructuring of local governments, strengthening community participation in local government, municipal engineering and planning and municipal elections. The Deputy Minister of Cooperative Governance and Traditional Affairs of South Africa, Andries Nel, and the Chairperson of the South African Local Government Association, Thabo Manyoi, met a Palestinian delegation led by the Minister of Local Government, Dr Saed Al-Koni, and the Chairperson of the Association of Palestinian Local Authorities, Ghassan Shakaa, at the fourth Congress of the United Cities and Local Government, held in Rabat, Morocco, from 1 to 4 October 2013. The delegations emphasised that similar historical experiences laid a strong foundation for learning from each other and called on the various municipalities present to forge partnerships aimed at improving service delivery to the people. South African public and private companies will be looking to participate in a number of transport infrastructure projects in Senegal following the visit to Dakar recently by President Jacob Zuma and a delegation of local business people. According to The Presidency, President Zuma and his Senegalese counterpart, Macky Sall, expressed their desire for South Africa and Senegal to work together to make Dakar an air-transport hub serving the West African region. They agreed to pursue the establishment of a well-developed aviation maintenance service, and “instructed their Ministers responsible for this sector to undertake the necessary steps as soon as possible”. Dakar’s new international airport, the Blaise Diagne International Airport (AIBD), is due to open in the first quarter of 2014. A new 32-kilometre toll highway running through central Dakar and its surrounding areas was opened in August, with an extended section linking to the new airport due to open in late 2014. 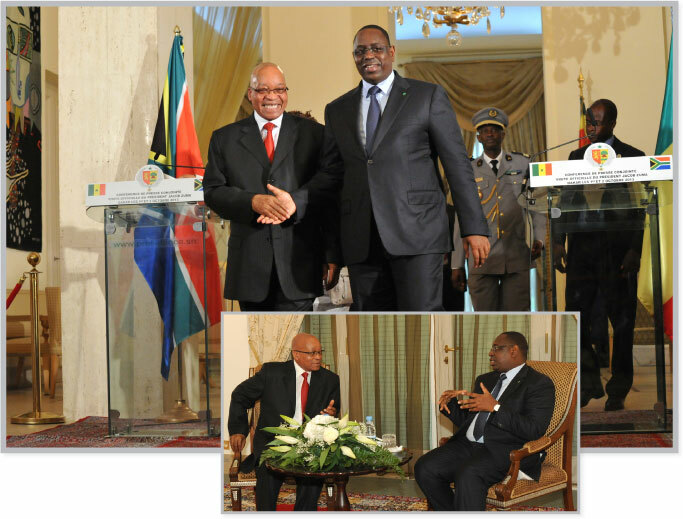 According to a joint communiqué issued after President Zuma’s meeting with President Sall, the Senegalese President “expressed Senegal’s wish for the continued involvement of South Africa’s Industrial Development Corporation (IDC) in the realisation of the AIBD”. President Sall “praised the interest expressed by South African public and private companies (IDC, Transnet, Lonrho and TMMF Holdings) to form a consortium and participate in the realisation of the Dakar-AIBD-Thies Railway Project”. The planned railway will link Dakar, the new airport and Thies, Senegal’s third-largest city, which lies 72 km east of Dakar. The Presidents also agreed on the twinning of Senegal’s Gorée Island, which was at the centre of the slave trade, and South Africa’s Robben Island. Denel chairperson Zoli Kunene said that the R200-million (€15,1-million) work package, contracted to run over the entire life of the A400M programme, demonstrates Airbus Military’s confidence in Denel and South Africa’s design and manufacturing capabilities, coupled with our ability to deliver on time and within budgets. 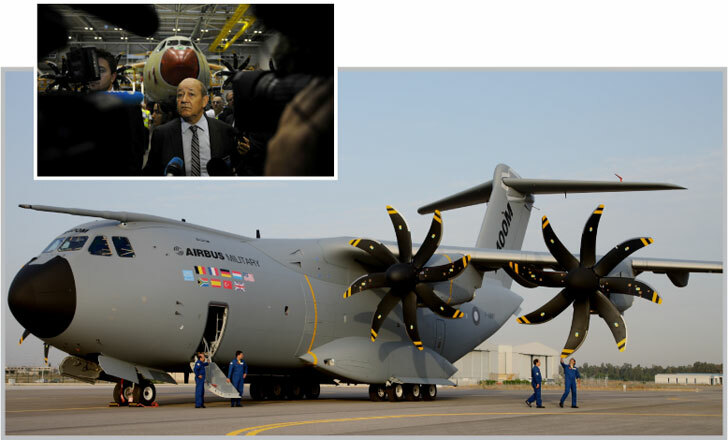 European aircraft manufacturer Airbus delivered the first of a batch of 50 A400M military transport planes – complete with critical components manufactured in South Africa, by South Africans – to the French Air Force. Engineers, artisans and technicians at South African company Denel Aerostructures took time off work to watch the handover celebrations – attended by Crown Prince Felipe of Spain and French Defence Minister Jean Yves le Drian – via live video linkup with Airbus Military’s facility in Seville, Spain. The giant airlifter, the first of 50 ordered by France and one of a total of 174 on order, will be based at France’s Orleans Bricy Air Base, where it will be initially used for training before being deployed on military and humanitarian missions. South Africa is one of seven countries working on the A400M programme. Denel Aerostructures, the only tier 1 supplier of manufactured parts to the A400M outside of Europe, is responsible for the design, engineering and fabrication of the aircraft’s wing-to-fuselage fairing and fuselage top-shells. South African company Aerosud manufactures the A400M’s cockpit lining, cabin lining and the wing-tip, while Cape Town-based Cobham South Africa supplies the aircraft’s satellite communications antennae and underlying systems. 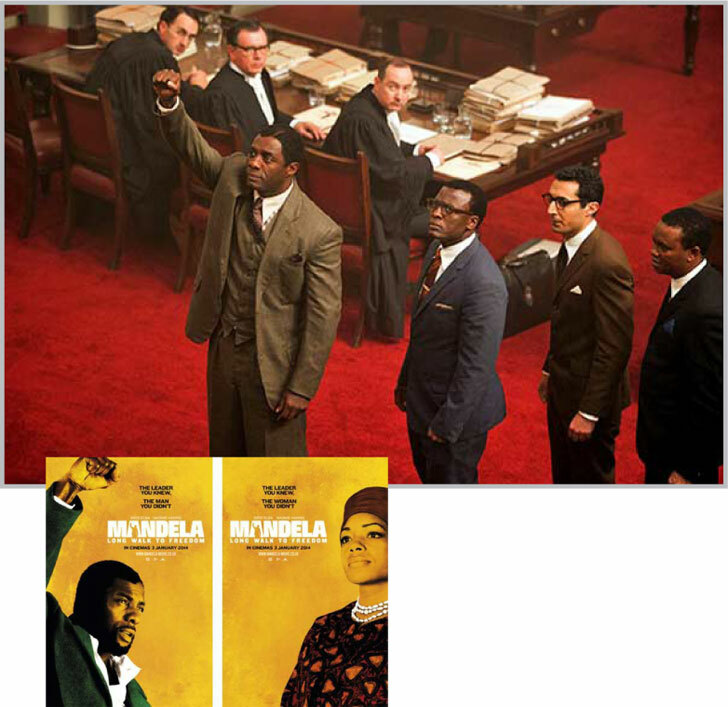 The film, titled “Mandela: Long Walk To Freedom”, which premiered at the Toronto Film Festival, recently received the Audience Favourite Feature Award in the United States.